Go the extra mile and congratulate someone special with more than a card. Cookies go a long way toward showing just how proud of them you are. Whether it's a graduation, promotion, winning game or other achievement, these crisp cookies with frosting in the middle are coated in rich dark and milk Belgian chocolate are a delicious way to reward a job well done. 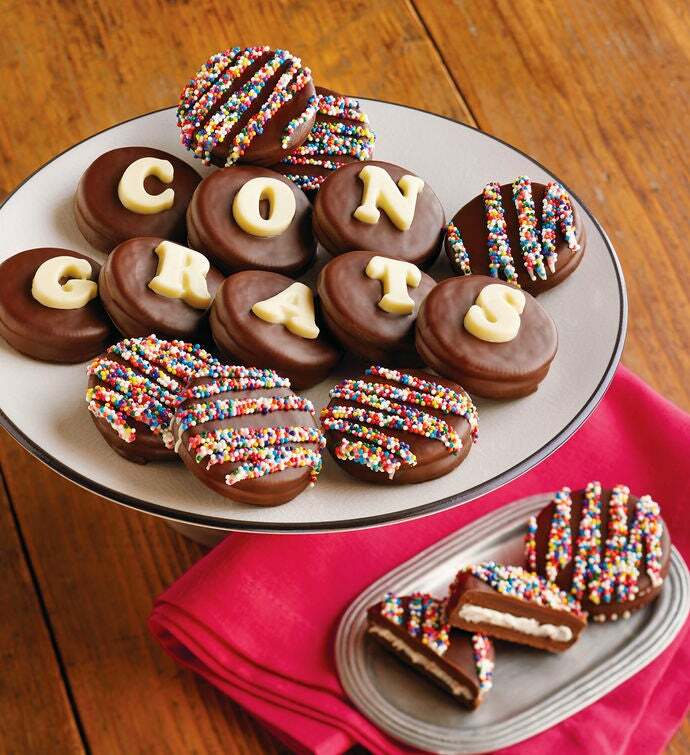 Each is decorated with "Congrats" in white chocolate lettering, a message that they will savor along with the delicious, crunchy confections themselves.